Swedish producer Eric Prydz is a chameleon. Whether he's dipping his toes in the underground as Cirez D, or entertaining the main room masses with his Eric Prydz moniker, the Swede has captured the hearts of dance fans worldwide. It's with his recent show EPIC (Eric Prydz In Concert - geddit?) that he's won the minds of the US market. 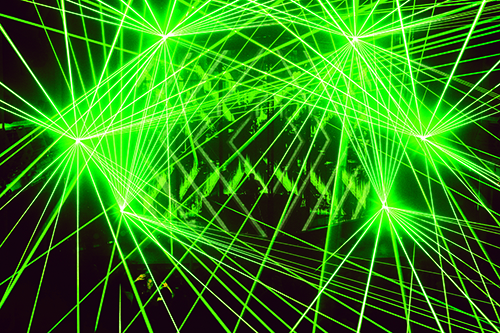 The touring show featured the globe's biggest hologram, stunning stage production (including an impressive 32 lasers), plus a slew of big-room tracks penned by Prydz himself. Since he took over NYC’s Madison Square Garden with the show last September, the veteran DJ/producer hasn't stopped — he's rocked LA's Escape festival and EDC in Orlando, as well as played a headline set at Space in Miami. Unlike other main room DJs, Prydz insists that he never ‘plans’ his sets (he spilled the beans in an interview with DJ Liquid Todd at EDC Las Vegas earlier this year), preferring to read the vibe of the room on the day. Aside from his work as Eric Prydz, the Swede's other moniker (and imprint of the same name), Pryda, is still going strong, with his latest release 'PRYDA 10' smashing the Beatport charts with ease. It was so successful that it hit a new milestone for the influential label — 'PRYDA 10' is currently the highest selling release in the imprint's 11-year history. Then there's his exclusive and bi-monthly Beats 1 radio show that aired to acclaim back in 2015, and spans unreleased productions across his Prydz, Pryda, and Cirez D aliases. We caught up with Eric Prydz last month, when we tripped out to two of his shows in New York. He performed under his Eric Prydz and Cirez D aliases respectively. First, it's off to Prydz's EPIC 4.0 show at Terminal 5 followed by a set with his darker, techy-nuanced altar ego, Cirez D, at NYC’s newest underground shrine, Flash Factory. Ahead of his set at SW4 in London in August, DJ Mag compares and contrasts Prydz's two different aliases after the shows — check out our chart and decide which one's your favourite! EPIC 4.0: Fun, customised for the big room. Pryda at his best possesses a unique method for making people move. His progressive-meets-techno-meets-house… there’s really no way to perfectly describe Pryda’s unique way of making people move. Needless to say, it was loud, it was fun, and nobody stood still. Cirez D: Think Prydz’s distinctive sound heavily laced with darker, borderline black techno elements — only fitting for the depths of the night. EPIC 4.0: Every iteration of EPIC, Prydz and his lighting genius, Liam, outdo themselves — upping the ante via new holographic and 3D imagery. 4.0’s ‘cube’ concept is masterful — putting the performer inside a LED cube with projected holograms and, of course, unforgettable lasers. Cirez D: Flash Factory impressively alters the lights with each gradual transition as only dark colored lights cover the swarm below. EPIC 4.0: Prydz plays a selection of unknown IDs from recent shows, recent album (‘Opus’, 2016) hits, and Pryda and Cirez D classics (‘On/Off’) that meld together perfectly. ‘The Matrix,’ ‘Oddity’, ‘Floj’, and of course ‘Opus’ off the new album keep people rocking. Cirez D: Cirez D graces his set with mostly his own tunes playing classics like ‘Thunderstruck’, ‘Ruby’, ‘Fast Forward’ and ‘Glow (In The Dark Dub)’ amongst others. Cirez fittingly closes the night with the Eric Prydz summer 2006 edit of Inner City’s ‘Good Life’. EPIC 4.0: Finishing his encore with instant classic ‘Sunset At Café Mambo’ off his new album is a monumental way to close, and leaves people with deep anticipation for his after-party. Cirez D: While almost the entire set is composed of Cirez D’s original music, what is unexpected and surprisingly refreshing is the pumping Stefano Noferini re-edit of Luca M & JUST2’s tech-house tune ‘The Power’, which is based off the classic ‘90s hit ‘The Power' by Snap. EPIC 4.0: Prydz and his team really took things to the next level with EPIC 4.0. Production and music is a perfect evolution from the last version, and this show will stand as a true estimate to the power of Eric Prydz. Cirez D: If you’re looking to REALLY experiment with and expand your musical boundaries, you won’t want to miss Cirez D’s next show. SW4 is on 27th and 28th August at Clapham Common in London. Tickets here.